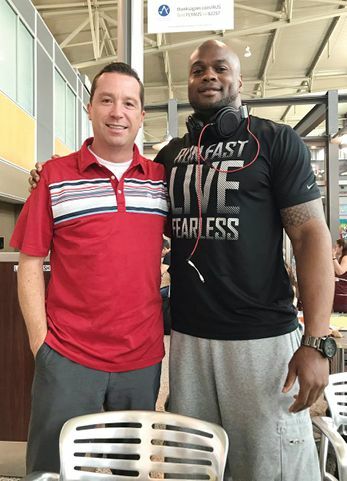 Football season has yet to start, but linebacker Jerrell Freeman is already putting his muscles to good use. The 6-foot, 236-pound Chicago Bear was about to tear into a brisket sandwich at an Austin airport, where he was waiting for his flight to training camp, when he noticed another man choking. After an older woman unsuccessfully attempted the Heimlich maneuver, Freeman jumped in to help. It took two attempts, but Freeman was able to dislodge the food—also brisket—from fellow flyer Marcus Ryan’s throat. The two men happily returned to their meals. “You can’t get between a man and his brisket,” says Freeman.